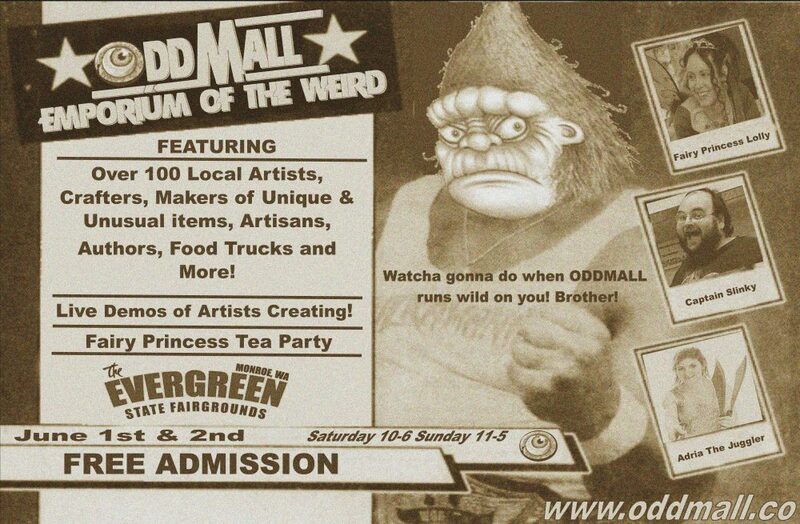 ODDMALL comes to Tacoma This Weekend! Amazing artists, authors, crafters, inventors, creators and artisans galore. This weekend in Tacoma you’ll find the treasures you seek and much, much more! Everyones invited, admission is free , watch this preview on King5 to see some of the items you will find as you wonder around. Not a more unusual marketplace in the land can be found! The show starts on Saturday exactly at 10, and goes until 6, we sleep and start over again! The Greater Tacoma Convention center is where we will be. Invite all your friends, and don’t forget admission is free!